Robust and durable with a sleek modern finish, this brilliant pedal bin from Russell Hobbs is perfect for any busy family kitchen. 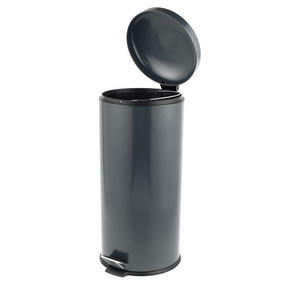 With a 30 litre capacity, the bin will hold a convenient amount of rubbish without being overly obtrusive. 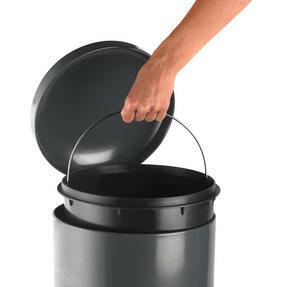 With a pedal function you can open it easily and hygienically so you can keep your kitchen clean without the hassle. 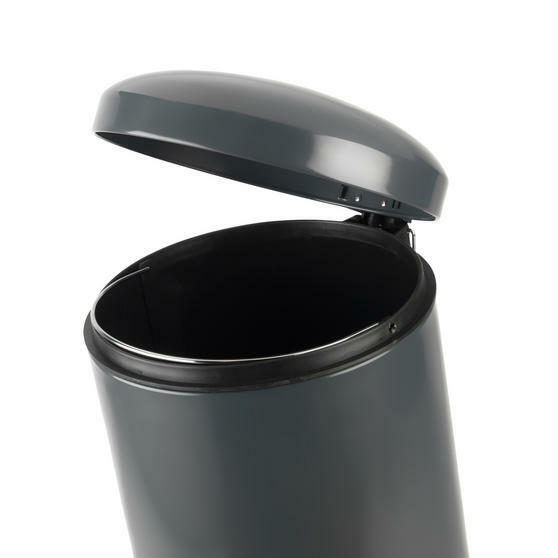 Made from iron, the bin has a high quality feel and the grey gloss powder coating is sure to look fantastic in any setting. 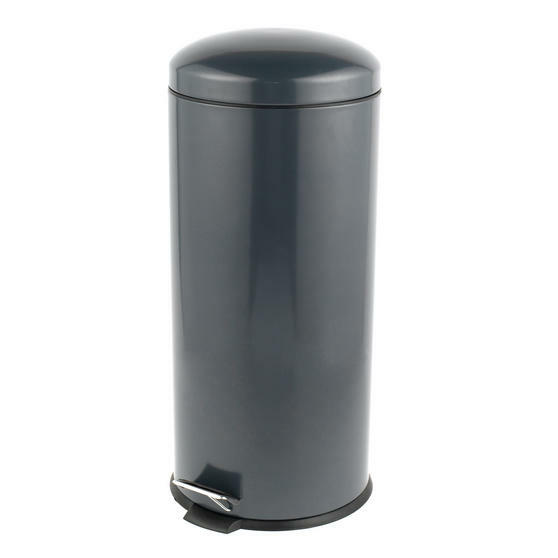 This Russell Hobbs pedal bin has a convenient 30 litre capacity giving you plenty of space for rubbish without being overly obtrusive. Made from durable iron the bin has a sleek gloss powder coating for a modern look which perfectly combines practicality and style. 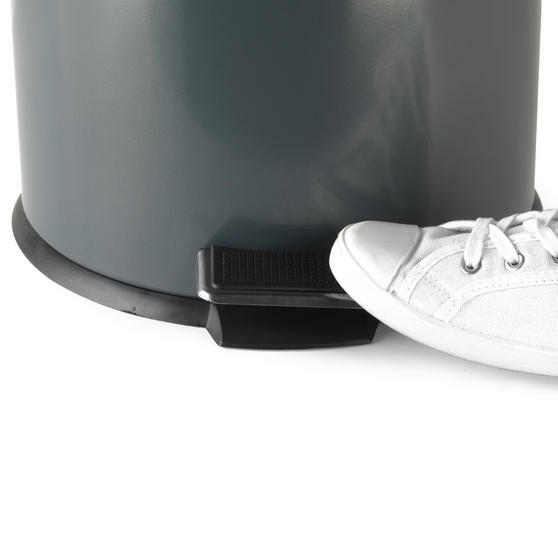 Incredibly simple to use, the bin can be opened effortlessly by pressing the pedal with a foot and just release it to gently close. A perfect addition to any home, it has everything to cope with the demands of a busy kitchen and can be easily emptied when full.